Gregory Evans serves on LDF’s national Board of Directors. LDF was founded in 1940 under the leadership of Thurgood Marshall, who subsequently became the first African-American U.S. Supreme Court Justice. LDF brought Brown v. Board of Education and every significant civil rights case argued before the United States Supreme Court since Brown. 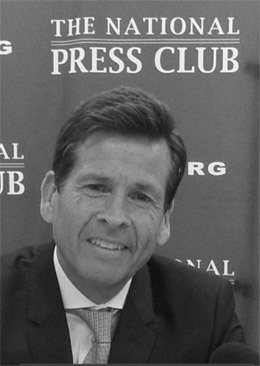 Since 1990, Gregory Evans has served as Cooperating Counsel to LDF. In 2005, LDF appointed Greg to LDF’s National Board of Directors and he has served actively since his appointment. As Cooperating Counsel, Greg represented LDF’s clients pro bono in several major civil rights cases including Oliver et al v. Indio, a case brought on behalf of the First AME Church, African Americans and Latinos living in Riverside County, California. Oliver resulted in the rebuilding and renewal of the Coachella Valley’s oldest African American community threatened with demolition by the local redevelopment agency. 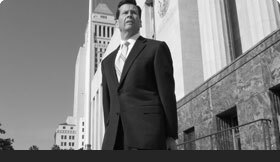 In BPOA v. County of Los Angeles, a federal court civil rights case, Greg represented pro bono the Urban League, First AME Church, African American juvenile probationers and African American probation officers in a case brought under Title XI and Title XII. BPOA ended in a federal court consent decree which reformed the allocation of probation resources in minority communities. Others who have served LDF as Cooperating Counsel include President Barack Obama and United States Attorney General Eric Holder. Greg Evans has served on the Board of Directors of Public Counsel since 2004. Greg has also been honored by Public Counsel for his pro bono service to the poor through Public Counsel. 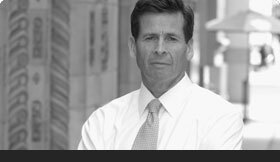 Greg’s successful cases include mortgage fraud, guardianship, adoption and consumer fraud cases. Public Counsel is the largest pro bono law office in the nation. 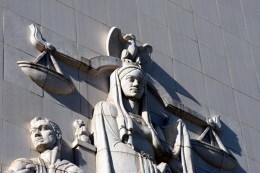 Founded in 1970, Public Counsel is the public interest law firm of the Los Angeles County and Beverly Hills Bar Associations as well as the Southern California affiliate of the Lawyers’ Committee for Civil Rights Law. Public Counsel’s activities are far-ranging and impact a wide spectrum of people who live at or below the poverty level. For over 10 years, Greg Evans has been a Trustee, serving on the Board of Trustees of Catholic Charities of Los Angeles. Catholic Charities is the largest private provider of social services to the poor in California. The programs of Catholic Charities focus on empowerment and seek to enact long-term, positive change in individuals, families and communities. As a nonprofit, public benefit corporation, the agency is built on the principles of dignity and inclusion, providing services irrespective of race, ethnicity, gender or religious belief. Programs address human suffering and larger social issues, such as poverty, hunger and nutrition, homelessness, immigration, health care, mental health and illiteracy. For 15 years, Greg Evans served on the Angel’s Flight Homeless and Runaway Youth Shelter. Greg served as Board President for over four years. As Board President, Greg oversaw the expansion of Angel’s Flight Youth Services and the establishment of Adeste Youth Services, a before-and-after school child care program that offers working families child care in very poor areas. Through outreach, shelter, educational, psychological and medical services, Angel’s Flight has been serving L.A.’s homeless and runaway youth since 1980. For several years, Greg Evans has formed and coached grammar school students in an CRF’s annual Mock Trial Competition. 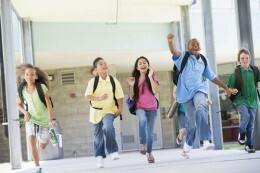 In 2009, Greg’s team of sixth through eighth grade students progressed to the final round for Los Angeles County, finishing second overall. CRF created the Mock Trial Competition to help students acquire a working knowledge of our judicial system, develop analytical abilities and communication skills, and gain an understanding of their obligations and responsibilities as participating members of our society. The program currently involves 36 California counties. Greg is a Trustee of the Los Angeles County Bar Foundation. He served for several years as a Member of the San Francisco YMCA Board of Directors, and is a member of the National Association of Latino Elected and Appointed Officials. Since graduating from Notre Dame, Greg has been a consistent member of the University of Notre Dame Thomas More and Edward Frederick Sorin Societies. He is a member of the Mexican American Bar Association. Greg has completed a Fellowship with the U.S. Department of Justice in Washington, D.C. and served as Deputy Counsel to the National Coalition for the Homeless in Washington, DC. For his pro bono services to the poor, Greg has been honored by the State Bar of California. Greg has several published articles on public policy, legislation and society. Integer Law Corporation is a 100 percent minority owned professional services company.